Lisa Snowdon is one of the nation’s best loved radio and TV presenters. As well as being one of the UK’s most successful models of recent years featuring in high-fashion covers including Vogue, Marie Claire and Elle. Lisa’s first move into TV presenting was in 2006 for MTV Select and went on to be the head judge and host of Sky Living’s ‘Britain’s Next Top Model’, which she hosted until 2009. In 2008, Lisa was announced as the co-host of Capital London’s Breakfast show, initially with Jonny Vaughan and later with Dave Berry. Lisa co-hosted the award-winning show for seven and a half years until 2015, with over one million listeners and becoming London’s number one breakfast show. Richard Lindsay-Parson is the Chief Executive of the Emmy winning Digital TV Group (DTG). For over two decades the DTG has brought together all key sectors of digital TV to collaborate with their technical experts, creating the best viewing experience across the UK. The group has been central to the development of digital television in the UK, defining the core requirements of every television set sold. It has supported many world firsts, like ensuring all services and sets were ready for the digital switchover. Today the DTG works with its members and partners to drive developments such as on-demand and internet TV, video advances like UHDTV, VR, AR and immersive audio. An engineer by profession, Richard’s experience spans product design, and marketing strategy and implementation in the consumer electronics and television industries. He assures us he makes time for family, food, films and festivals. Richard lives in London with his husband, Will, and their vivacious Weimaraner, Hendricks. He has spent 40 years of his working life in the Consumer Electronics business 30 of which were spent with Toshiba. He left his role of Sales Director for Toshiba Consumer Products Division in April 2008. He now works on projects with friends he has known in the Industry for many years. He has served on the TRIC Committee since 1994 and spent 2 enjoyable years as TRIC Chairman (1998 – 2000). During this time Chris introduced the first Lady President (Gloria Hunniford) that the Club has ever had. He enjoys socialising with TRIC friends and is married to Shirley and they have 2 sons, they live in Weybridge Surrey. Alexia is a business development, marketing and recruitment professional with over 18 years’ of experience in leading corporate, digital, business-to-business, consumer and technology public relations consultancies working with global organisations through to innovative start-up brands. She sat on the Management Board at Octopus Group, Publicasity and Weber Shandwick and was instrumental in growing Hotwire PR from start-up through to fifth largest in the UK in just five years. Alexia was responsible for the launch and success of the BrandRepublic Future 5 Awards in 2013 – an awards programme collaborating with BrandRepublic, Campaign and PRWeek to find the UK’s most experimental and innovative brands that shaped the marketing and comms world. Alexia has two sons and lives in Weybridge. Sanjay is Senior Trading Manager at SKY UK Ltd. He has worked in the communal satellite field for almost ten years and he specialises in advising managing agents and social landlords on how best to get Sky TV into blocks of flats so that residents can enjoy Sky’s award winning entertainment. He manages a network of specialist Sky sales agents on a National UK Basis. His remit spans budgeting, business management, coaching, customer service, IT management, management development, market planning, marketing, performance management, sales management, sales training and strategy. Sanjay is married to Dee and have two children Neel and Mansi. Howard was Chairman of TRIC from June 2006 through to June 2008 and remains an active member of the committee. He lives with his wife Joan in Northamptonshire, close to their two grown up daughters Claire and Hannah. A keen supporter of TRIC for many years, Howard believes that the combination of superb events and raising money for great causes means that TRIC has really got a great formula. Howard has worked for Sony for over 20 years and has been involved with TRIC for over 10 years. Kam has over twenty years’ experience in winning new business along with strategically managing and developing client relationships in the insurance, financial services and warranty sector. He has successfully won numerous new clients in the insurance and warranty sector which are major blue chip organisations along with growing, developing and managing the largest clients in this sector combined with managing large successful teams. Kam is married to Kally and they live in Berkshire and have three wonderful children, Kiran, Arjun and Aman. Derek joined D&G in July 2000and was appointed Managing Director of Inkfish Services in July 2002. He became Sales Director of D&G Insurance PLC and D&G Services Limited in June 2004 and since July 2014 has been promoted to Managing Director Clients. Prior to his time in the financial sector Derek worked for some of the leading Blue Chip companies, Brooke Bond Oxo, Unilever, Allied Lyons/Domecq, Tetley GB and Danish Crown. Derek has a passion for sales and marketing and building industry leading teams that focus on strategically delighting his clients and their customers. Derek is married to Tracy, they live in Surrey and have two beautiful daughters, Fiona and Michaela. Sean Hannam is the editor of ERT and ERTonline.co.uk – the leading trade magazine and website for the electrical retailing industry. He has worked on ERT and related publications since 1999. Sean joined the industry in 1997. In his role as editor, he is the co-host of the ERT Awards and has spoken at many industry events, including techUK and Retra conferences, the IFA tech trade show in Berlin and The Gadget Show Live. He is a well-known commentator on issues in the electrical retailing and tech industries. Sean has regularly appeared on Sky News as a technology/web pundit and has been quoted in several national newspapers and publications including The Telegraph, Daily Mail and Guardian online. Paul’s experience spans Sales, Marketing, Operational and General Management roles during 25 years in B2C, B2B and B2G technology industry organisations, including Sharp and Sony Electronics. Paul has led the UK introduction of many technology milestones that have delivered the analogue to digital technology transition of the past three decades. Paul’s current role is as a Director of techUK, the UK’s leading technology trade association, and involves working in partnership with members, Government and stakeholders to shape and lead the future of the UK technology industry and the application of UK based tech. Paul is also a Trustee of the Electrical Safety Board, a Governor of Kingston Hospital Foundation Trust and an active member of British Cycling’s UK racing scene. Charles is the owner & Managing Director of What Vacuum Limited a consumer review / sales site selling electrical appliances directly to the consumer. Charles acts as a consultant for selling electrical appliances in the UK and Internationally, he also provides marketing and sales support as a non-executive director for start-up companies. Charles previously worked at Bissell from 2001 to 2009 as UK and International Sales Director and Group Marketing Director at Hoover for 8 years. Charles recently completed 6 years as a trustee on the Electrical Industries Charity Board. Prior to working in the electrical appliance industry Charles held marketing and new product development roles in the grocery market with Nestle, Allied Lyons, Campbells and Imperial tobacco. Charles provides TRIC with extensive knowledge of the electrical appliance market as well as insight and experience from industry giants and charities. Mike joined Arqiva in 2005 and runs Arqiva’s Digital Terrestrial Television (DTT) multiplex business in the UK. Based in the West Midlands, Mike has a long pedigree in multiplex management stretching back to the launch of Freeview in 2002. He holds a trustee directorship of the Community Channel and has held the position of both vice-chairman and chairman of the Television & Radio Industry Club. Prior to his career in the broadcast industry, Mike worked in various commercial and operational roles in a number of telecommunications, software and defence companies, both in the UK and internationally. He lives in Solihull with his wife Carole and enjoys playing the piano and researching military history. Has been associated with TRIC since 1999 when he became the auditor for the club. For many years he has been helping the committee as the auditor until 2016 when he was asked to join the committee and to look after the day to day accounting function whilst a new director was being sought. He is married with two daughters and has recently moved to Wales Colin started his career in 1972 at Rumbelows Ltd as an accounts clerk before moving into an accounting practice in Enfield in 1974. He stayed there for ten years before he moved to a local housing association in Enfield where he oversaw the introduction of private finance to enable additional accommodation to be built. He became chair of the London Housing Association Finance group during that time. In 1994 he started his own accounting firm in Bishops Stortford and moved to offices in Sawbridgeworth in 2004 where he still works. A Senior Marketing Professional, with a specialism in working with technology B2B and B2C organisations. I have worked globally, across the full marketing mix, and specialise in helping companies optimise their customer engagement, acquisition and retention strategies. I work with Business Leaders and CMOs to simplify marketing complexity, whether it involves deciphering GDPR, complex technology or intricate customer profiles. I love solving problems! Jacqui Bozeat has responsibility for sales and account relationships with broadcasters on the UK’s DTT platforms. She leads a team of Account Directors and heads the development and implementation of Arqiva’s DTT sales strategy. 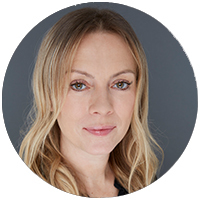 As a Freeview board member, Jacqui has overseen a number of successful campaigns for the UK’s largest television platform including the recent Freeview Play product combining linear and on-demand services. 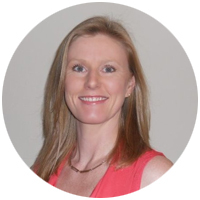 Prior to joining Arqiva, Jacqui worked at QinetiQ where she was an investment manager in their corporate venture team and responsible for establishing a number of high-tech start-up companies. Jacqui has a BSc. in Applied Physics and an MBA from Warwick Business School. Jacqui enjoys running and travelling and lives in Berkshire with her husband Rob and their German Shepherd Oscar. 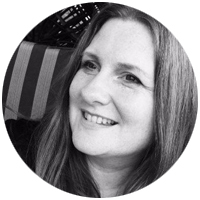 Ali has been organising high profile events for over two decades, with an A-list CV that made her the perfect fit for the TRIC. Hollywood highlights include Bradley Cooper’s premiere party for The Hangover, the Hairspray premiere after party and illuminating Regent Street at Christmas with Samuel L Jackson. She has launched albums for Alicia Keys and Usher, and wrapped TV hit shows X Factor, First Dates and Big Brother in style. Ali is clearly a diva whisperer, having launched a book for Joan Collins and organised glamorous birthday parties for Kate Moss and Mariah Carey. Mimi’s 40th, no less. Ali’s versatility extends far beyond showbiz. She has directed events with budgets as high as £1 million for global brands like British Airways, Google, Braun, Northern Shell and Credit Suisse, a partner of 15 years. This is Ali’s third proud year as TRIC Event Director. She lives in Clapham with her partner and their 8 year old Daughter, who has the most fabulous birthday parties. John had made the Radio & Television industry his life and had a very successful career spanning 43 years, being a Managing Director of companies on both Retail and Manufacturing. His associationwith TRIC (then RIC) has been continuous since 1955. On early retirement he formed a Golf Event company, Gemini Classic and during the decade of the 90’s raised nearly £1 million for various charities. He continues to be active in organising golf events, having formed yet another company in the millenium year. His love for TRIC continues unabated by the years or workload in his business, let alone his involvement in the celebrity world. He was honoured in 1989 in being a Companion of the Grand Order of Water Rats. He is extremely proud to have been honoured by TRIC as President and recently honoured yet again as a Companion of the Club. Brian Tesler is a past TRIC President (1979-80). He retired in 1994 from the Deputy Chairmanship of LWT (Holdings) plc, he’d previously held the positions of Deputy Chief Executive (1974-76), Managing Director (1976-84), and Chairman & Managing Director (1984-92). After moving to ITV in 1957 with ATV, where he was the first winner of BAFTA’s Light Entertainment Production Award. Brian joined ABC Television as Head of Features and Light Entertainment in 1960 and became Controller of Programmes in 1962 and was the first ITV Programme Controller to be appointed to a Board; He was appointed CBE in June 1986 and in the same year was awarded Pye Television’s Lord Willis Trophy for Outstanding Services to Television. John Whitney has spent over 40 years in the media and communications industry. He was Managing Director of Capital Radio from 1973 to 1982, Director General of the Independent Broadcasting Authority from 1982 to 1989, on the Board of the Royal National Theatre from 1977 to 1994 and a non-executive director of The Really Useful Group Ltd, of which he was previously Chairman, until June 1997. He is a Director of Friends Provident plc, Chairman of Caspian Publishing Ltd., Chairman of RAJAR Ltd (Radio Joint Audience Research Ltd) and Chairman of Bird & Co International. Among his charitable interests are Soundaround, Artsline, the Theatre Investment Fund and the Hospital Broadcasting Association. Terry Mobbs joined the TRIC Committee in 1982, has served as Chairman and was elected Treasurer in 1998. Terry is enjoying his retirement following a lifetime in our industry. He continues to serve various good causes close to his home in High Kelling in North Norfolk whilst striving to improve his golf handicap. Tim Gooch started his career with a City firm of printers, he then worked in Fleet Street for many years before starting Buckland Securities of which he is Chairman. Tim is a member of the Worshipful Company of Stationers, a Freeman and Liveryman of the City of London and a Trustee of Society of Stars for Charity. Vic Bray was a previous TRIC Chairman. Vic started his career in the Electricity supply industry and was for many years involved in electrical retailing installation and service. He was a Director of Domestic & General for 15 years. His hobbies are keyboard and vocals and cycling. Since retiring from D&G he and his wife spend the winter months in Barbados, where he teaches young children with serious learning difficulties to swim and Marion teaches them Craft.